We are not the people that eat a lot of the traditional Danish rice pudding or Risengrød as we call it but it’s a traditional that we make it at every Christmas. Risengrød is a very popular Christmas dish and is often used to make the even more traditional risalamande which is typically served for dessert after the dinner at Christmas eve. Typically the risengrød is made the 23th of December and served for dinner, then the leftovers are used to make the Risalamande the day after on the 24th and if there still are some extra Risengrød then it can be used to make these rice pudding pancakes or Klatkager as they are called in Danish – so it can be said that these pancakes is like a third level dish. 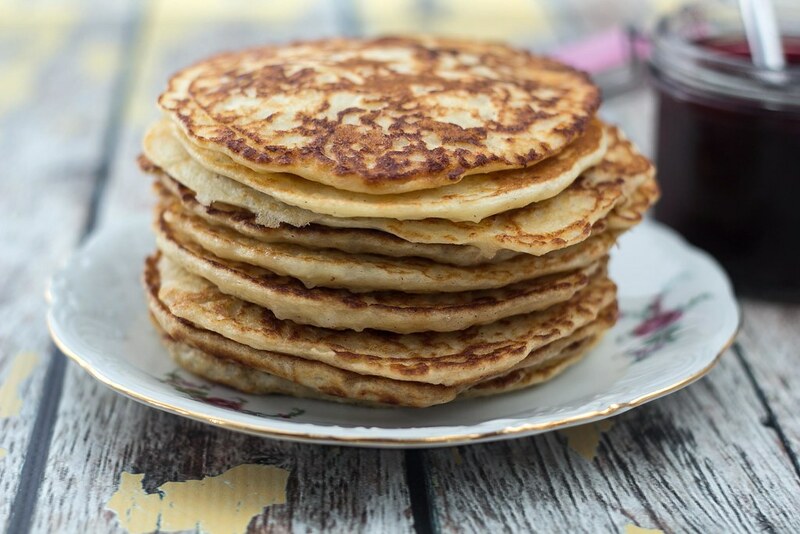 Klatkager is a kind of a pancake which is based on the Danish rice pudding and then mixed with cane sugar, flour, and eggs. Then they are fried in some butter on a frying pan and served warm with some jam. They are very easy to make, taste delicious and are perfect as a snack. 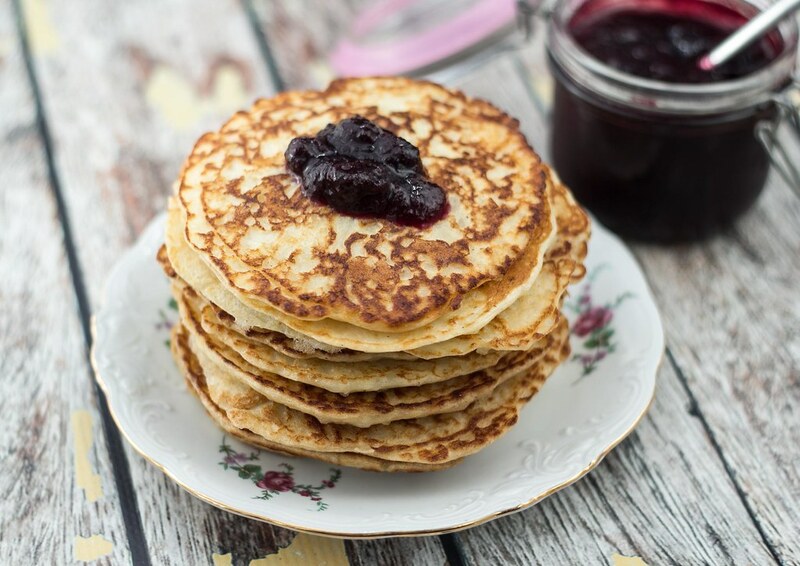 When we make risengrød for Christmas we always double up the recipe and save some of it to make the risalamande and later these delicious pancakes. Step 1: Mix the cold Danish rice pudding (Risengrød) with cane sugar, vanilla essence, eggs and flour. Keep mixing until the pudding has a uniform consistency. Step 2: Leave the pudding in the fridge for about 30 minutes or longer. This way the pudding will become more sticky and it will not fall apart when you fry them. Step 3: Heat up a frying pan and add a teaspoon of butter. 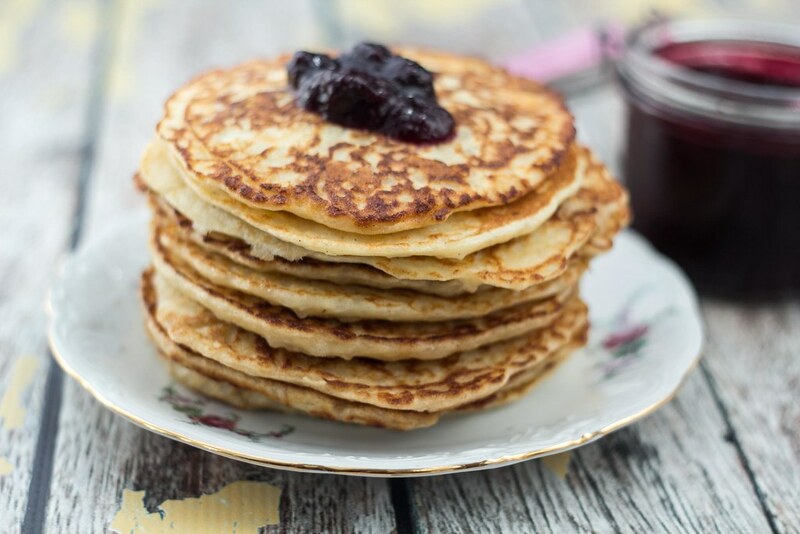 Make the pancakes/klatkager in about two-tablespoons sizes. Use the tablespoon to flatten out the pancakes. Step 4: Fry the pancakes at medium heat until the top of the pancakes are starting to get solid. Turn over the pancakes and fry them until they are done. Tip: Serve the pancakes/klatkager with some strawberry and rhubarb jam. I’ve never heard of klatkager before, but they look really good, so I’ll be making a double portion of (Danish) rice pudding next time. I was wondering, though, if you might have an easy-to-follow recipe for a delicious pastry called tebirkes, which I used to be able to buy from a Danish bakery in Edinburgh. If they can be made on the basis of your recipe for Danish pastry, so much the better. I don’t have the exact recipe for Tebirkes. However, the dough is based on the Danish Pastry Dough recipe I’ve here on my blog.